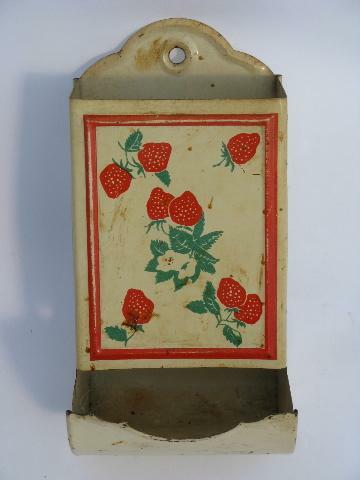 Old metal wall mount match safe, cute red strawberries pattern on cream colored background. 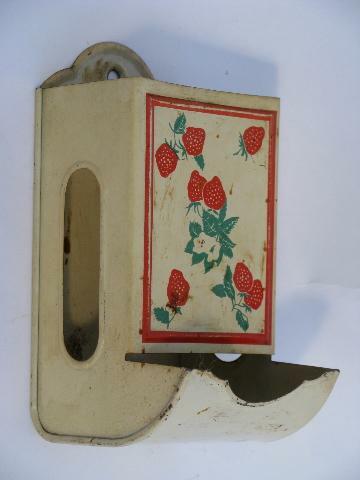 This has a little wear and scratching, and some yellowing to the finish. It measures 6" long overall.